Pet owners are urged to take extra steps to ensure the safety of their companion animals during the cold forecasted in Nebraska this week. "Animals rely solely on their human caregivers for safety and comfort—especially during the winter months," said KC Theisen, director of pet care issues for The HSUS. "Our pets are particularly vulnerable during this frigid season, and with just a few extra precautions you can help make sure that they stay safe and healthy." The best prescription for winter's woes is to keep dogs and cats inside. The happiest dogs are those who are taken out frequently for walks and exercise but kept inside the rest of the time. Dogs and cats are social animals who crave human companionship. - Don't leave pets outdoors when the temperature drops. 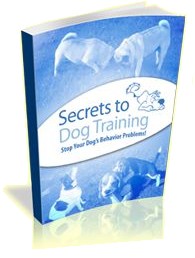 Dogs and cats are safer indoors, except when taken out for supervised exercise. Regardless of the season, cats and shorthaired, very young, or old dogs should never be left outside. Short-coated dogs should wear a sweater during walks. -Pets who spend time outdoors need more food in the winter because keeping warm depletes energy. If you keep a water bowl outside, routinely check to make certain the water is fresh and unfrozen. Use plastic food and water bowls rather than metal for any outside food or water bowls; when the temperature is low, your pet's tongue can stick and freeze to metal. Heated plastic pet water bowls are also an option to keep water from freezing when your pets must be outdoors. -Warm engines in parked cars attract cats and small wildlife, who may crawl up under the hood. To avoid injuring any hidden animals, bang on your car's hood to scare them away before starting your engine. -The salt and other chemicals used to melt snow and ice can irritate the pads of your pet's feet and may be harmful if ingested. Wipe their feet with a damp towel before your pet licks them to remove snow packed between your pet's paws. Pet-friendly ice melts are available at many pet supply stores across the nation or online. -Traditional antifreeze is a deadly poison, but it has a sweet taste that can attract animals and children. Be certain that any antifreeze you buy or have put in your car contains a bittering agent that makes ingestion by pets and children less likely. 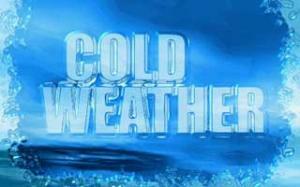 -No matter what the temperature, wind chill can threaten a pet's life. If your dog must spend significant time outdoors he/she must be protected by a dry, draft-free doghouse that is large enough to allow the dog to sit and lie down comfortably, but small enough to hold in his/her body heat. The floor should be raised a few inches off the ground and covered with cedar shavings or straw. The house should be turned to face away from the wind, and the doorway should be covered with waterproof burlap or heavy plastic. -If you're feeding feral cats, be sure to provide an insulated shelter for them. 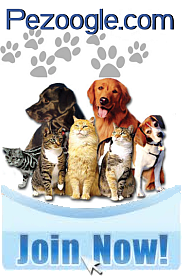 Information about building a shelter, spaying and neutering, and more is available at the link below.